Two weeks after receiving a contract extension of his own, 49ers general manager Trent Baalke is looking to retain all the players that contributed to the team’s successful 2011 season. “All our guys are a priority. All the guys who went into us having the success that we had last year, they’re all a priority,” Baalke said from the 2012 Scouting Combine on Thursday. “Unfortunately, it is a business so you can’t have everybody back. We’re going to do everything we can with Carlos (Rogers) as we will with our other unrestricted free agents because we want to keep that locker room together. 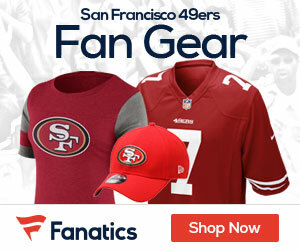 Baalke also said that he hasn’t watched the film from the team’s overtime loss in the NFC Championship Game and did not watch Super Bowl XLVI as the club was working on preparations for 2012. “Last year’s success doesn’t mean any thing moving forward. We have a lot of work to do. I feel very good about the systems that we have in place and the coaching staff having a full off-season to really work with these guys and to take the systems and the schemes to a new level and the understanding of those schemes to a new level,” said Baalke. ” There’s a lot of work to do, and the locker room isn’t going to be the same. There are going to be new faces, guys are going to have to come together. That process, every year, you try to bring in a group of guys that can come together like last year’s group did. And there’s no guarantees, but we’re going to work hard at it. and we’re going to do the same things we’ve done in the past — the same things we ask our players to do, come to work every day with the mindset of getting better. And I feel like we can get better. Be the first to comment on "Trent Baalke Says He Wants to Keep the Niners of 2011 Together"